Other features are courtyards, dens, lofts, patios, balconies and options for additional bedrooms. 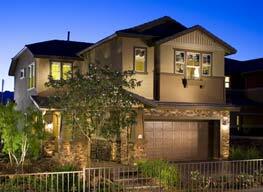 The Ladera Ridge homes in Summerlin by KB Homes prices start in the low $300,000s. The Ladera Crest homes in Summerlin Mesa Village collection contains two-story homes in four floor plans. These Summerlin homes for sale range from 2,388 to 2,786 square feet and offer three to six bedrooms, 21/2 to three baths and two-car garages. Ladera Crest homes features include bonus rooms, lofts or game dens, rooms, formal living and dining rooms with options for covered patios, additional bedrooms and balconies. Prices for Summerlin homes in Ladera Crest start in the mid-$300,000s. Call 702-505-6988 for VIP Summerlin home representation for The Mesa homes in Summerlin by a Las Vegas real estate agent. Selling, buying or refinancing a piece of Las Vegas Real Estate? Visit Fine Homes Real Estate for more information and VIP representation by a Las Vegas Luxury Real Estate REALTOR for investment Las Vegas Real Estate, 1031 exchange, condos such as Trump Towers Las Vegas, Turnberry Towers, Allure, Panorama Tower, The Signature MGM Residences, W Residences, RED Rock real estate, commercial, residential and Las Vegas land. Summerlin real estate The Mesa Village by KB Homes features two home collections Ladera Crest and Ladera Ridge homes.